SLAYDIES SERIES SPOTLIGHT! ALDINA THORNBERRY/TACTICALALI! So it's that time of week again! It's time for another Slaydies Series Spotlight! This instalment is on a Slaydie who has supported FFA since the very beginning - Aldina Thornberry! Hey Allie! 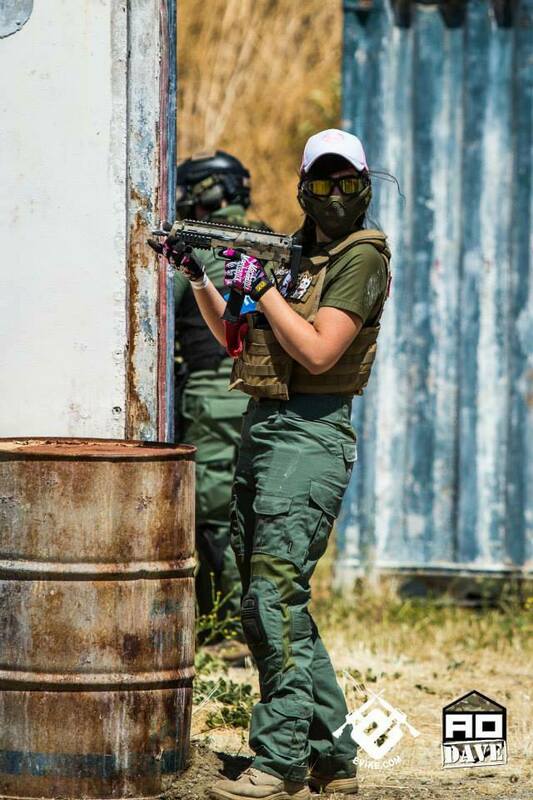 Thanks for taking part in the Femme Fatale Airsoft Slaydies Series Spotlights! Can you tell my readers a little bit about yourself? Aldina Thornberry, but most of my friends call me Allie. I’m 19, about to be 20. I’m from San Jose, California. I work in admin (basically I’m a secretary) at a biotech company here in Silicon Valley, I’m also a student. I currently major in Psychology but I’m considering a switch to History. If I stay with psych I’d like to get my doctorate in Psycho-Trauma and work with Veterans who have PTSD. I’m also currently in school so I can get my EMT license and then hopefully my paramedic license. How long have you been Airsofting? I started in April 2014, so almost three years. What got you into Airsoft? Ha. A guy. A guy I was talking to was a “sponsored player” (all that meant was 10% off at the local store) and he asked to take me. I ended up going with his friends for my 17th birthday and I loved it and have been playing ever since. What do you love about Airsoft? I love everything about it. I like the physical aspect of running around, jumping through windows, shooting people. I like that if you want to win you have to come up with a plan, execute it, and be prepared to deviate when things don’t go the way you want. I think my favourite thing has been the people though. Some of my best friends have been people I’ve met at the local fields, or online on Facebook. Shout out to my Slaydies/WOA girls. There may be a lot of drama in Airsoft but if you stay away from the bad eggs, most of the people in Airsoft are great. Where is your home site? Fort Ord (Roundhouse Productions? They have like three names) down in Marina, California. I also play at Gamepod Combatzone a lot. What are the most memorable sites you’ve played? Fort Ord seems to be my favourite, its unique because it’s outdoors but it’s on a retired military base so you also play in the buildings. They’ve done a few really amazing night ops as well. I’m probably the opposite of MilSim whatever that is. I try not take myself too seriously because come on, it’s Airsoft. I’m a pretty aggressive player and I definitely like to win. I can get kind of bossy on the field if my team starts to lose (which is how I got my callsign) but that’s worked in my favour a few times. Weapons and Loadouts: What’s your weapon of choice? And what loadout do you normally run? I run a completely re-done KWA CQR as my main rifle. At this point I’m not even sure you could call it that, I’ve had all the internals replaced, it has a new stock, lower, and a keymod rail. His name is Leonidas and he’s my baby. My sidearm is a KWA M9 usually I have one standard mag and one extended. I also have started running with 2-3 thunder b’s at any one time. Usually my goal is to be as light weight as possible so a chest rig or plate carrier with no plates. 6-7 mid cap mags, Valken Zulus for eye pro, and then the rest varies depending on weather. What are your experiences of being a woman in Airsoft? 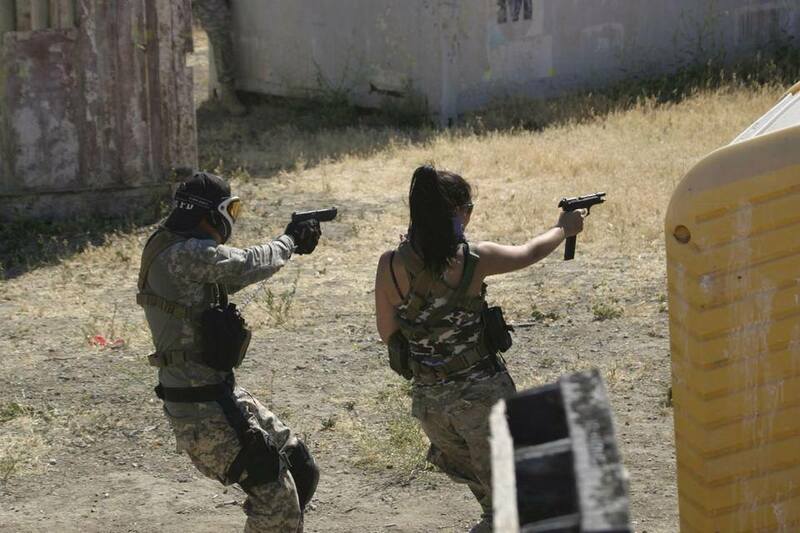 I think being a woman in Airsoft has its pros and cons like anything else. When I first started it was rare to see another woman at a game and so guys would kind of go all doe eyed. Now whenever I play there is usually 3-5 of us women so it’s a little more normal to see but not really. A lot of the guys I’ve been lucky to become friends with have been really great to me since joining, my sidearm was a gift, a lot of the gear I had when I first started were hand-me-downs from my first team, even my first MultiCams were hand-me-downs from them. I’m not too sure if that’s because I’m a woman or because they are nice guys but from what I’ve heard it’s a chick thing to get free stuff. One huge con to being a girl in Airsoft has been harassment and overall creepiness from guys online. I’ve been very lucky to not have been harassed at fields very much due to having a lot of staff friends at the fields I play at, but it has happened once or twice. Mostly though it’s in PMs on Instagram or comments on forums and stuff like that. As more women get into the sport though I’ve been noticing it get better. I had to publicly shame someone once and it happened a lot less after that. I had the honour of being the Captain of an all girls Airsoft team (The Pink Rangers) for about two years, and that was pretty amazing. At our height we had 7 girls, at our smallest we had 3. I was extremely surprised at how welcoming the (mostly) male community in Airsoft was when we started and how supportive they stayed while we were still a team. It was always really cool to come out to games and have guys know who we were and want to play with us. A few times guys were really sceptical of us being a girls only team, but 9/10 times by then end of the day we were all friends and having a great time. 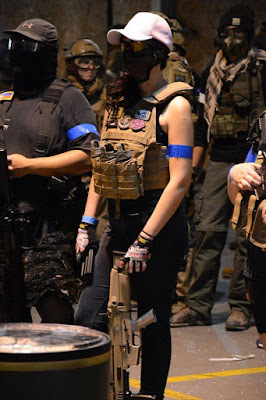 One of our main goals as a team was to bring more women into Airsoft, and when we’d go out a lot of guys would be like “I should bring my (insert significant female in their life) and have them play, maybe seeing you girls would help them be more comfortable”. Can you let my readers know where to find you on social media? Is there anything you would like to say to other players out there? Call your hits, don’t be creepy, and listen to the briefing. NEW YOUTUBE UPLOAD! FEB INSTA Q&A PART 2! NEW YOUTUBE UPLOAD! FEB INSTA Q&A PART 1! VLOG #2! PATCHES PATCHES PATCHES! VLOG #1! HOW I STARTED AIRSOFT! THE MIDLANDS AIRSOFT FAIR! OCTOBER 2016!